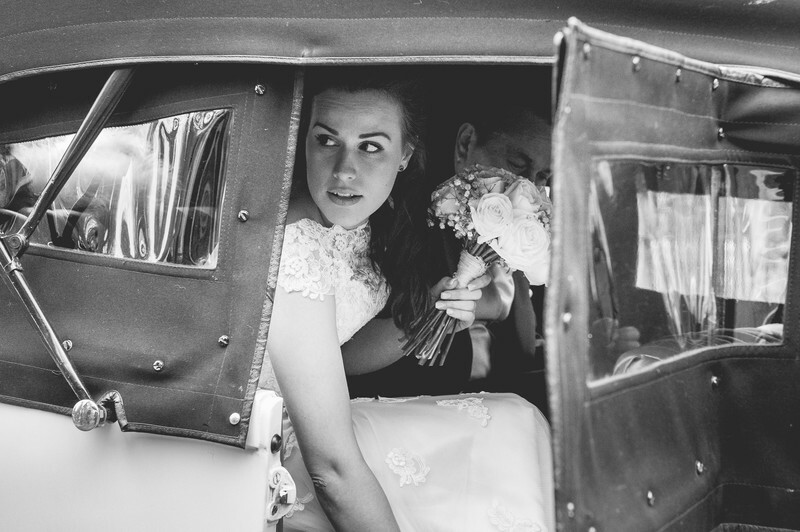 One of my favourite wedding photos, this shows the moment Lydia arrives for her wedding at the Nash in Worcestershire. The Nash is a truly stunning privately owned Elizabethan manor house, set in 40 acres of parkland in the Worcestershire countryside. Beautiful inside and out, it's a photographers paradise. One of my favourite locations inside the Nash is the ornate staircase. To the side of the stairs is a huge window that floods the area with soft, natural light. 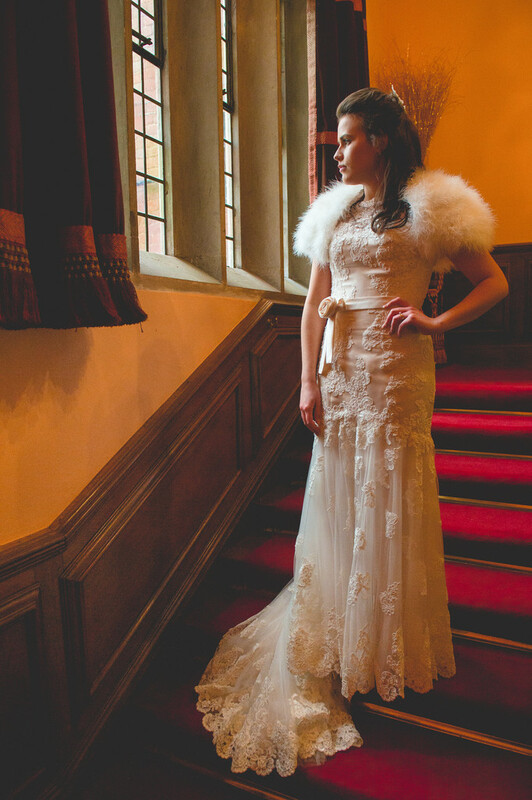 I love the pose that Lydia is striking in this bridal portrait. The direction and quality of the light serves to reveal all of the details in the wedding dress, which itself is contrasted nicely against the striking red carpet. The grounds of the Nash are well looked after and make for the perfect backdrop for formal family photos, and intimate couples photos too. Inside, ornate Italian plaster-work ceilings, linen-foldoak panelling and distinctive hand carved fireplaces enhance the majesty of the building. 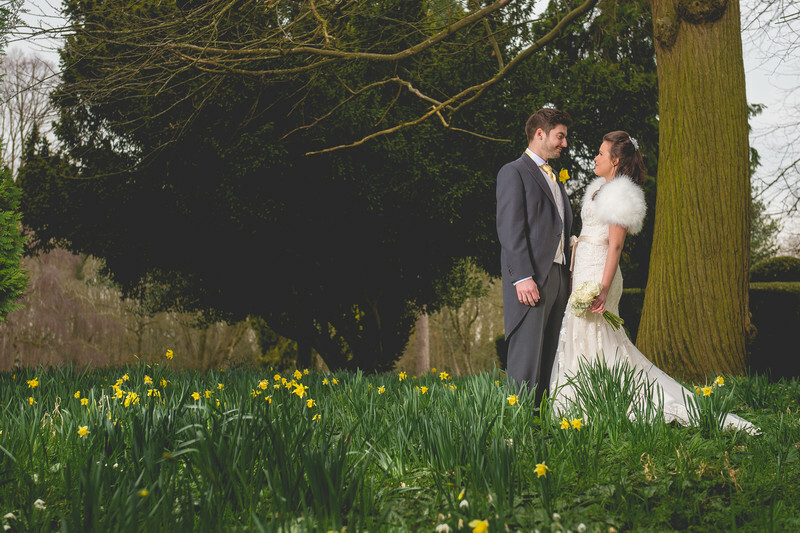 Ash and Lydia got married in March meaning there was a sea of daffodils in the grounds of the Nash. It was a great sight, especially seeing as Ash and all of his groomsmen were wearing daffodils as their buttonhole wedding flowers. Location: The Nash, Kempsey, Worcester, WR5 3PB.